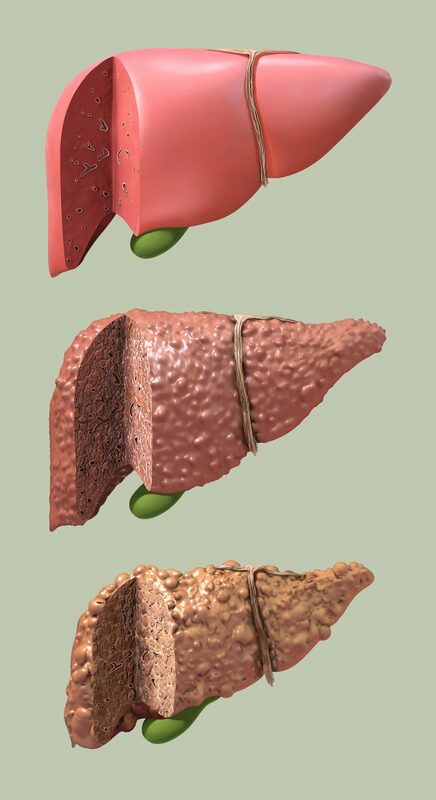 Fibrosis of the liver, second image depicted is excessive accumulation of scar tissue that results from ongoing inflammation and liver cell death that occurs in most types of chronic liver diseases. Nodules, abnormal spherical areas of cells, form as dying liver cells are replaced by regenerating cells. This regeneration of cells causes the liver to become hard. Fibrosis refers to the accumulation of tough, fibrous scar tissue in the liver. These medical illustrations were done for Merck.